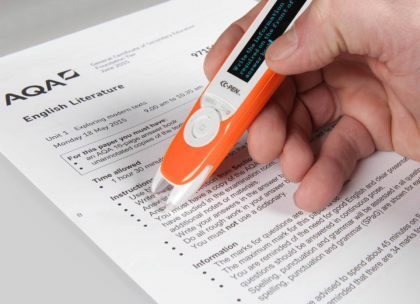 The C Pen text reader is a major technological breakthrough for anyone learning English and is a life-saver for those who suffer from reading difficulties such as dyslexia. The Reader Pen is a totally portable, pocket-sized device that reads text out aloud with an English, human-like digital voice. The pen is half the size of other portable pen scanners on the market and at 50g is half the weight. Importantly this means it can be used by a younger generation of English learners, making this learning tool suitable for children (age 6+) and adults. This is the only portable line scanner on the market that is both Mac and PC compatible. There is no software required; just connect the pen up to a computer with a USB cable and it appears as an external hard drive. Other features include a built-in voice recorder with playback. Packed into the pen sized device is a central processing unit, 4 gigabytes of storage, a full electronic Collins dictionary and 1200mAh battery. By simply passing the scanner over text, the unit will detect words and read them aloud. The dictionary function was really impressive. After passing the nib over a word it instantly displayed the definition and read it aloud. It also accepts headphones, so you can use it without disturbing anyone around you, which is especially useful in places like libraries. This particular gadget, while not a toy or something leisurely, is practical and can be a great help to anyone, especially students. It’s one we would definitely purchase. Gadget Shop currently has stock of this pen for around R4500. Find it at your local gadget shop, or thegadgetshop.co.za.